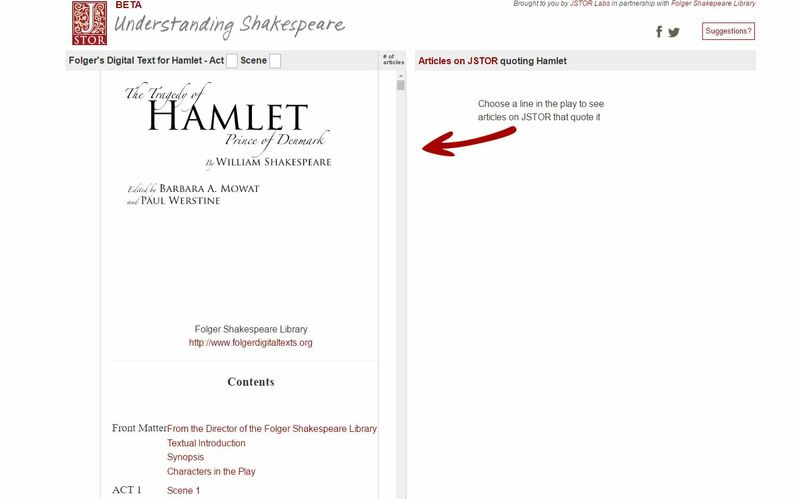 On Understanding Shakespeare you will find all Shakespeare’s plays. 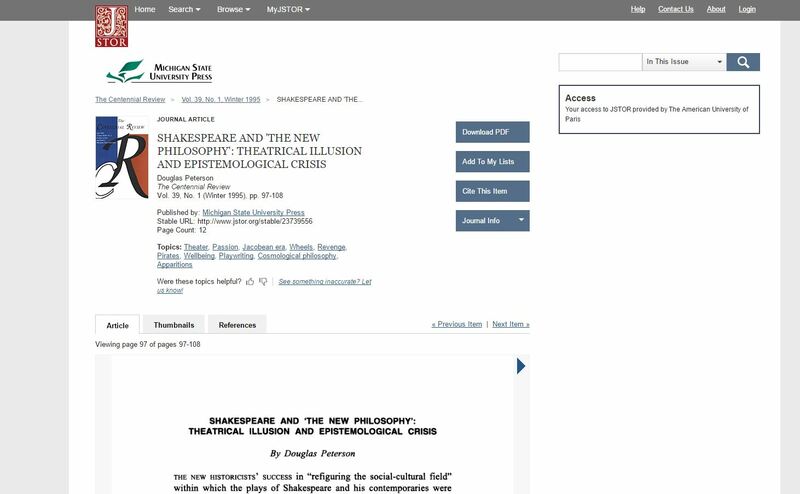 Find and click on the number present at the end of the line you are interested in. 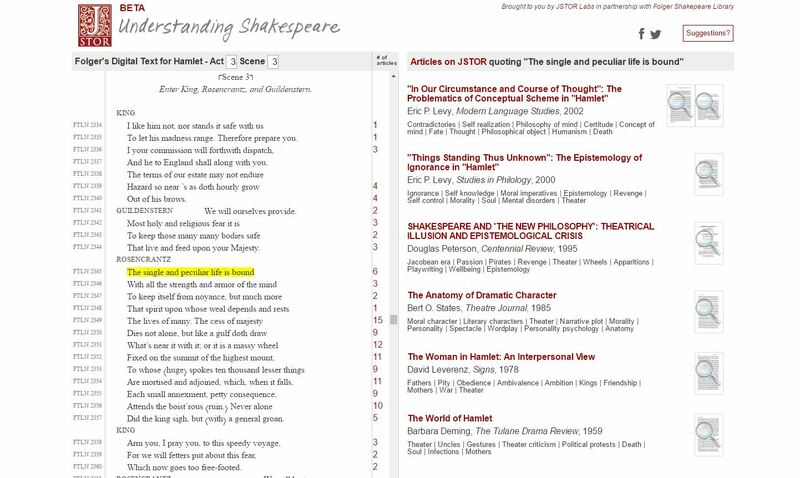 On the right side a list of articles from Jstor will appear. 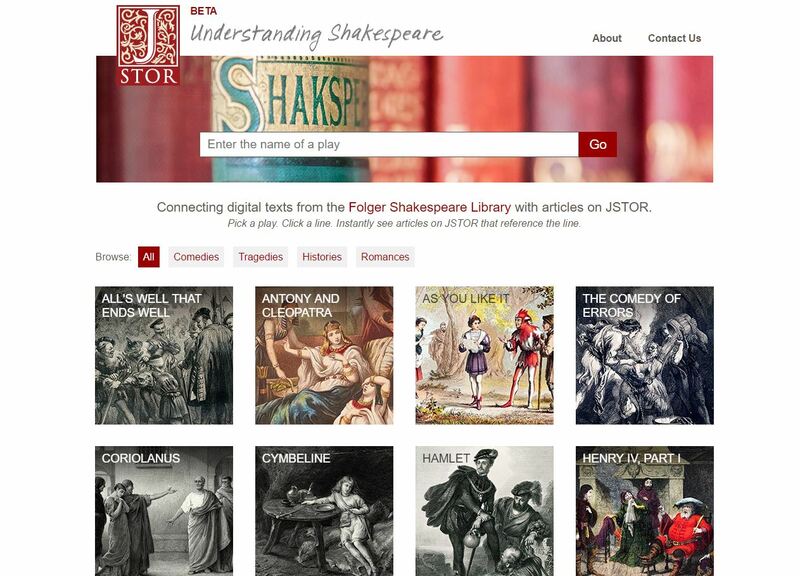 After choosing the article related to your research, you will be redirected to the full-text version on Jstor. If you have any feedback about this new tool, please contact labs@ithaka.org.